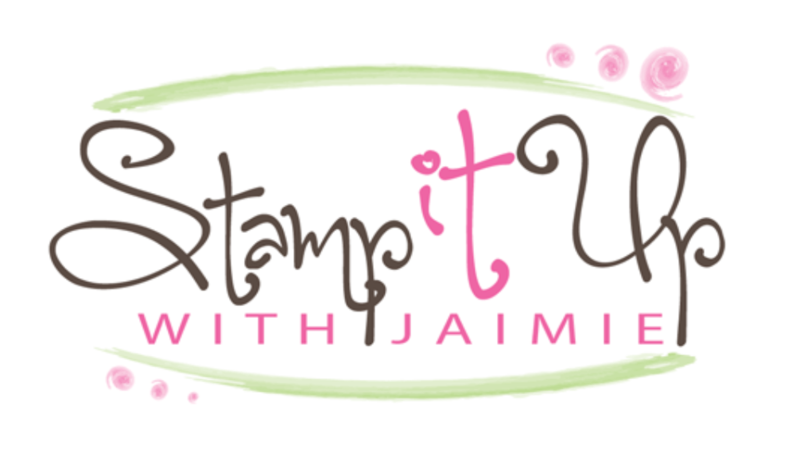 I used the Add a Little Glitz stamp set and the Swirly Snowflakes Thinlits Dies from the upcoming Stampin’ Up! 2017 Holiday Catalog to create my card for the Happy Inkin’ Thursday Blog Hop today. We’ve got a sketch challenge this week and this is what I created for it. I started by cutting panels from the Quilted Christmas 6×6 DSP (available Sept 1) with the edge die from the Swirly Snowflakes Thinlits Dies (available Sept 1). Then I cut panels of Dazzling Diamonds Glimmer Paper with the intricate snowflake edge die from the Swirly Snowflakes Thinlits Dies. I’d applied Multipurpose Adhesive Sheets to the back of the Dazzling Diamonds Glimmer Paper before cutting it, so I adhered the die cut pieces together with that adhesive and then to the card front with SNAIL. I stamped the sentiment from the Add a Little Glitz stamp set (available Sept 1) in VersaMark ink on a panel of Wood Textures DSP, sprinkled it with Gold Stampin’ Emboss Powder and heat embossed it. I adhered the stamped panel to a panel of Whisper White card stock with SNAIL, then wrapped a strand of Garden Green 3/8″ Stitched Satin Ribbon around the panel and tied a bow. 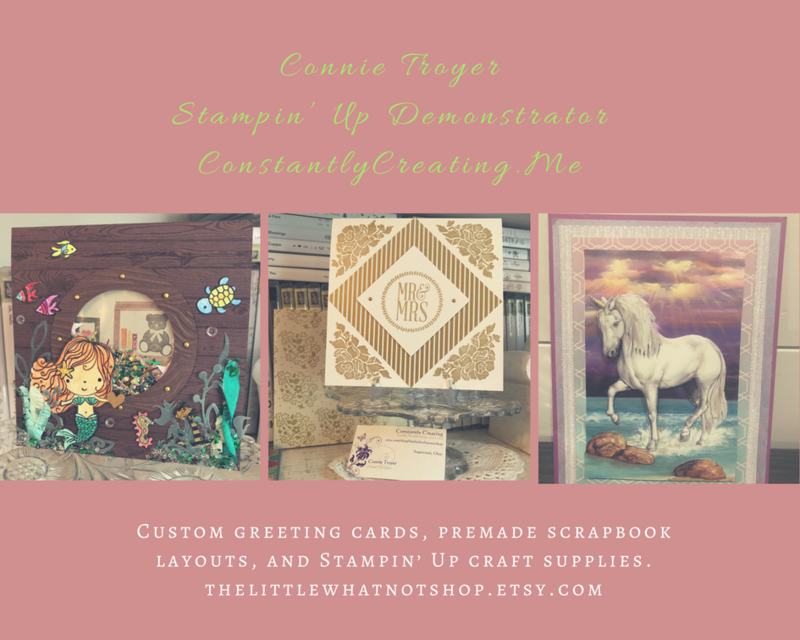 I adhered the layered panel to the card front with Stampin’ Dimensionals and then tucked one of the Year of Cheer Embellishments (available Sept 1) under the bow, adhering it with a rolled up Glue Dot. I added a single gold enamel dot from the Metallic Enamel Shapes pack to finish the card front. I stamped the sentiment from the Snowflake Sentiments stamp set (available Sept 1) in Real Red ink and the snowflake image under it in Garden Green ink on a Whisper White card stock panel inside the card. This entry was posted in Holiday/Christmas and tagged Add a Little Glitz, CAS card, Christmas card, holiday card. Bookmark the permalink. Absolutely beautiful. wow, I am loving those Swirly Snowflake thinlets. they are awesome! That sparkle of the word Sparkle makes me smile! Such a stunning card!! I’m thinking I need those snowflake thinlets! Love this card! Great use of the dies. So simple yet so effective. Very pretty … love the red “edging” with the snowflakes . Great way to showcase the bundle. This set is perfect for this sketch! Pretty card!